This September, Melbourne Zoo is set to host the best wildlife photographs from around the world that have featured in National Geographic over the past 130 years. Curated by Kathy Moran, the exhibition will include some of the world's most renowned wildlife photographers. Melbourne Zoo director Kevin Tanner hopes the spectacular photographs will compel visitors to remember that all animals deserve our greatest respect, awe and preservation. National Geographic's 50 Greatest Wildlife Photographs shows an unmatched legacy of artistic, scientific and technical achievement. Showcasing the evolution of photography, the images convey how innovations such as camera traps, remote imaging, and underwater technology have granted photographers access to wildlife in their natural habitat. The exhibition opens on 7 September 2018 and closes 30 November 2018 at Carousel Park, Melbourne Zoo. For more information, visit zoo.org.au/50greatest. Banner image courtesy of Tim Laman. It's difficult to summarise all that the Wild Melbourne team and their supporters have achieved this year, but I'll definitely try my best. Whether it was creating our own schools program, celebrating National Eucalypt Day, or getting involved in Amellia Formby's Wing Threads project, it's safe to say that from our publications, productions and social media teams, through to the community operations, PR, and admin staff, we've been kept very busy. Thanks to funding supplied by the Wettenhall Environment Trust, the Wild Melbourne productions team began work on the Community Conservationists video series this year. This initiative aims to bring some well-deserved attention to five community conservation groups around our state through five short videos. Back in April, we were delighted to announce the winners of the application process: Friends of Brisbane Ranges, Connecting Country, Friends of Bats and Bushcare, Hindmarsh Landcare, and Wildlife of the Central Highlands. Stay tuned in 2018 for the release of the videos that will tell the amazing stories of these important conservation groups. We are also very excited to be working with Amellia Formby on her incredible project, Wing Threads: Flight to the Tundra. Amellia is setting out to fly along the same migratory path that our shorebirds fly every year to promote urgent action for shorebird conservation. It’s a 12,500km journey from Australia to Siberia that will take her around three months to complete in a microlight aircraft. Wild Melbourne is helping Amellia tell her story, as well as the stories of the shorebirds and those working so hard to preserve them across Australia, and internationally. Make sure you stay up to date with the Wing Threads project but checking out any news, photos and videos on the Facebook page. Our biggest achievement of 2017 was by far the launch of the national nature engagement charity, Remember The Wild (RTW), in October. We have been privileged to receive an immense amount of support from those of you who already follow Wild Melbourne, as well as from new supporters who are just now learning who we are. We hope to continue to engage the Australian public with the nature around them through our wide range of services, which can be found on our website. Whether it's promoting other groups through online content and video productions, or unlocking the wonder of the natural world through professional development and place making, we offer an array of services that allow people and communities to benefit from increased engagement with nature. 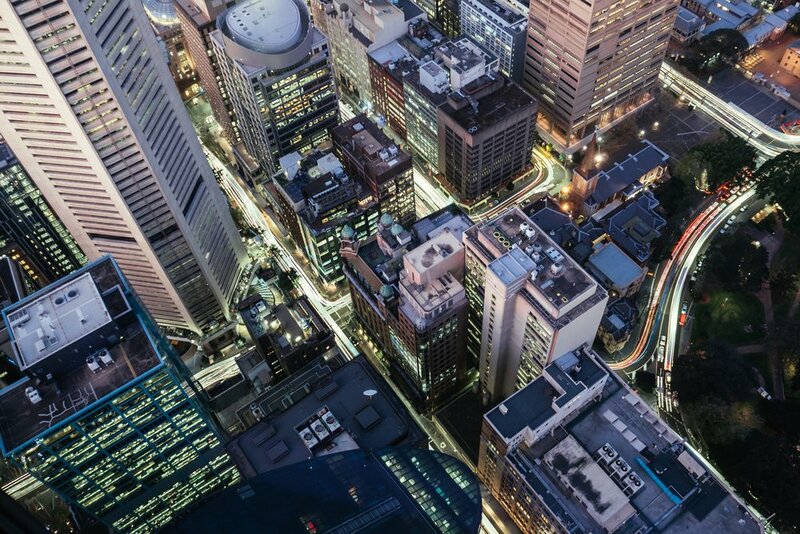 This year, we have also had the pleasure of publishing a diverse range of articles from local, interstate, and international writers on Wild Melbourne. See below for some of our article highlights of 2017. If you'd like to write for us in 2018, we are always looking for stories of local significance for Wild Melbourne, and stories of national significance for RTW. Email us at info@rememberthewild.org.au and pitch us your idea - we'd love to hear it! Lastly, we have also reached over 600 subscribers to our Wild Melbourne newsletter, and we couldn't have done it without you! If you're not yet subscribed, make sure you do so here. On behalf of the entire team at Wild Melbourne, I'd like to thank you sincerely for your continued support for the work that we do. Whether you are a regular reader of our articles, you keep an eye on what we're up to through social media, or you simply open our monthly newsletters when you see them in your inbox, we are immensely grateful that so many of you have seen the value in what we do. We're incredibly excited to see what 2018 brings, and would love for you, our supporters, to continue to follow us, whether through Wild Melbourne or RTW (or both! ), as we continue to engage the Australian public with nature. In 2018, we hope to release the Community Conservationists video series, complete work on our eucalypt documentary (funded by Eucalypt Australia), unveil an exciting ecopoetry project happening at Point Leo, publish more unique and engaging content on both the Wild Melbourne and RTW websites, and much, much more. If you'd like to know more about upcoming projects or get involved with us in some way, please feel free to contact us at info@rememberthewild.org.au to have a chat. In the meantime, have a safe and happy New Year, and don't forget to get outdoors and get wild! This article was originally published in the Wild Melbourne newsletter. If you'd like to be the first to hear about Wild Melbourne news and events, plus receive article recommendations and fantastic nature photography straight to your inbox, then please subscribe here. The times they are a-changin’. Bob Dylan couldn’t have said it any better; an anthem’s universal message of lasting change. Wild Melbourne is committed to enabling change, empowering our communities to create a brighter future for ourselves and the natural world. But it’s not the only change happening. 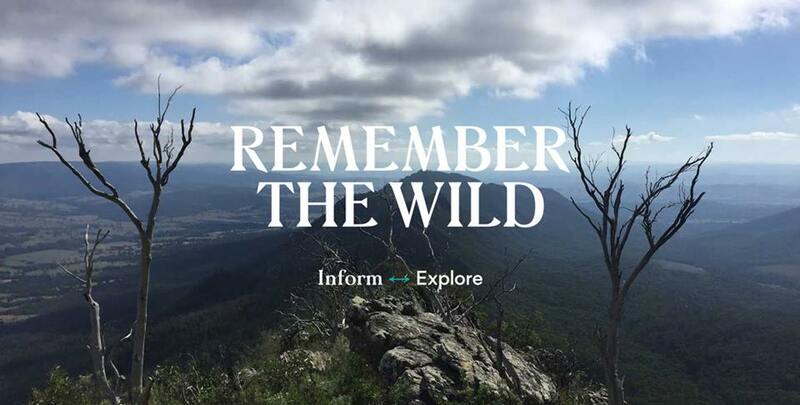 In October we launched Remember The Wild, our national brand, so that we could share Wild Melbourne’s message across the country. Wild Melbourne has since become a Wild City of Remember The Wild so you might notice a few little changes - all for the better of course! It was a little over four years ago in a Brighton lounge room that Wild Melbourne transformed from an idea into being. From a simple webpage, a random collection of short articles, and only a few followers (mostly family and friends! ), we’ve grown into a professional and charitable organisation dedicated to our mission. Now, as a Wild City of Remember The Wild, we’ll be making a couple of changes to our look so that you’ll be able to tell that Remember The Wild and every future Wild City is part of the one family. We're still the same nature-loving organisation you've grown to know, committed to wellbeing and the conservation of nature from a national perspective, right down to that of your local park. Wild Melbourne, and all future Wild Cities, will still be dedicated to delivering articles, sharing stories, and celebrating all things local through our website and social media. Remember The Wild will likewise be delivering content online, but will focus on topics of national interest and significance. An important change we’ve made is to streamline our efforts by having all of our paid and charitable services, at both national and local scales, flow through Remember The Wild. Rest assured, we’re the same team behind both organisations, producing quality work that you’ve come to rely on through Wild Melbourne. Soon, we hope to have more Wild Cities from across Australia join Remember The Wild and share their amazing stories. If you have any feedback on how we’re operating or would like further clarification about Wild Melbourne’s transition to a Wild City, please contact us at info@rememberthewild.org.au. We’d love to make your journey with us all the more memorable. For more information, please visit the new Remember The Wild website. I invite you to consider your daily routine. Think about the actions you normally take from the time you wake in the morning to the moment you lay your head back down on your pillow each night. As you imagine the unfolding of your typical day, try to calculate how many minutes you've spent outside. Is it 5, 15, 30, or maybe more? You might be surprised by the answer. Now I invite you to consider, of those minutes you spend outside on an average day, how many were spent in a green space (that is, an environment dominated by plant life, be it in the form of mowed lawn or thick forest)? If you’re like most people living in developed nations, then the answer to the above may well be less than the time you spend sipping coffee. It is a fact of modern life that we are increasingly removed from nature. We spend more time indoors than ever before, and fewer of us live in rural or ‘country’ areas. Most of us do not farm our own food or even garden around our homes, and the urban areas in which we tend to live are increasingly devoid of biodiversity. Some scientists have dubbed this decline in our exposure to nature as the ‘extinction of experience’ and have pointed out its unfortunate and pervasive repercussions. You see, as we lose touch with the natural world, we inevitably lose our emotional connections to it. As a consequence, we stop caring for and preserving our local environment, and in turn we lose our natural places and the species that call them home. With less nature to go around, we are even less likely to find opportunities for connecting, and so we enter a vicious cycle – we are not connected and so we do not care; we do not care so we do not preserve; we do not preserve so we cannot connect. And 'so it goes, on and on, the extinction of experience sucking the life from the land, the intimacy from our connections', as the naturalist, Robert Pyle, so joyfully put it. It may seem obvious why this disconnection – this, extinction of experience – should matter. Clearly, one of its implicit results is that our society is more prone to apathy regarding environmental concerns: we don’t know so we don’t care. Our native wildlife and functioning ecosystems join our experience in the realm of extinction. However, there is even more to the story than this already dramatic context. Let us zoom in to the scale of the individual and again contemplate our own lives. Connecting with nature is not only important to motivate greater environmental conservation and ultimately preserve our species and the resources on which we rely. It seems it is also essential to lead a good life, in the here and now. Increasingly, science is demonstrating that the benefits of nature for our mental and physical wellbeing are profound and far-reaching. 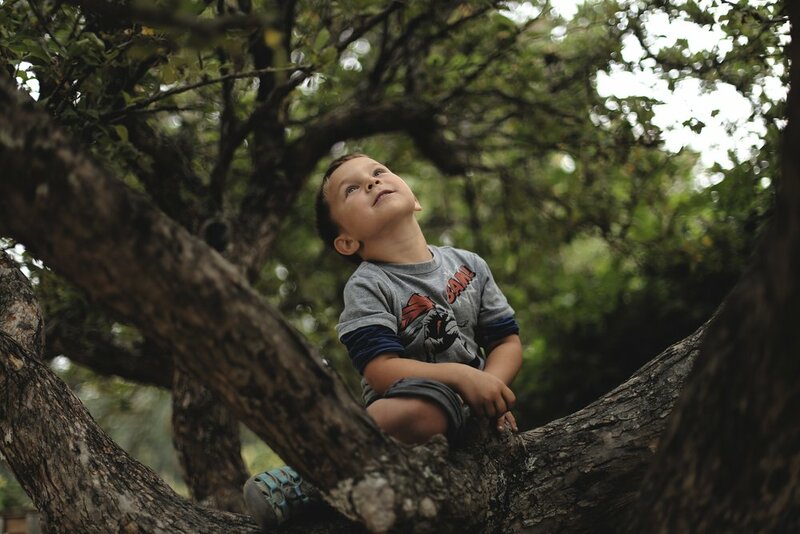 For example, there is strong evidence to suggest that children who spend more time in natural environments develop better motor skills and are less prone to depression as adults. For us grown-ups, nature can be a restorative force. People who access nearby natural places on a regular basis tend to be healthier overall than those who don’t, or do so rarely. Heck, they even tend to feel more satisfied with their jobs and relationships! A study from the early nineties found that mental fatigue is better relieved by walking in a park than walking in an urban street, or even relaxing on your couch at home – and this was before the incessant stimulation of smart phones became couch essentials. It seems that just looking at nature can make us feel better, with studies showing that people working in stressful environments feel and perform better when they have a view of natural spaces – or even just a desk plant. Perhaps even more exciting is the fact that people recover faster in hospital with a natural view to aid them, whilst the stress of driving is reduced by more natural roadside views. For some of us, the above benefits may seem like common sense. Indeed, Henry David Thoreau – American philosopher, abolitionist and nature writer – long ago remarked that 'we need the tonic of wildness'. Indeed, the science makes it clear that people generally prefer natural to artificial environments. Harvard Professor Edward O. Wilson concluded from this that we humans, being products of the biological world, are intrinsically drawn to that world. Simply put, his Biophillia hypothesis posits that we have evolved to be attracted to certain aspects of nature (such as fresh water, plant life, birds and other animals) because they aid our survival. The story is more complex than that, but the conclusion we can take from the above is really quite simple: we need nature. In the opening paragraph of this article, I invited you to contemplate your average day and how much time you spent outdoors in a natural environment. In doing so, you might have been surprised – or even shocked – at how few the minutes were that you managed to squeeze nature into your daily life. But, following this, you may then have thought to yourself in no unjustified terms that, ‘Hey, I’m a busy person – I barely have enough time to do many of the things that I’d like to do or are good for me.’ And that would have been a fair assertion; the rat-race of modernity can seem unrelenting and we all have multiple (and multiplying) priorities to juggle as we run it. But before you shrug off ‘nature’ as yet another multivitamin or dietary fad you can afford not to buy into, I’d like you to imagine your day once again. This time, rather than imagine your life as it is here and now, in the 21st Century, imagine yourself living sometime earlier in the history of our species – let’s say 100,000 years ago. This is a much more difficult task, I’ll admit, but don’t get caught up in the semantics of how you would wear your hair or complete a workout. Rather, consider how much time – from sunup to sundown – you would spend outside today, surrounded by plants, birds, insects, and of course, your family. The evolutionary circumstances under which modern humans evolved were far from idyllic, but if there is one thing we should be envious of it is this fact: we lived our lives intimately connected with the natural world. In our attempts to distance ourselves from the uncomfortable aspects of this relationship (such as disease, natural disasters, being eaten by things), we have inadvertently removed ourselves from those aspects crucial to our wellbeing. It may not be possible – or even advisable – to spend our entire lives outdoors removed from modern comforts, but I hope that in contemplating the above scenario you can appreciate just how dramatically different many of our current life experiences are to those of early humans. We need nature and we neglect it to our peril. What’s more is that bringing nature into our daily life does not have to derail our professional and personal goals – if anything, it can support them. As discussed already, nature can have a performance-enhancing effect on our cognitive abilities and for our children it is an essential building block for their confidence and capability. Given this, and given its obvious benefits to our health and happiness more broadly, the question isn’t can we afford to make time for nature, but rather, can we afford not to? I am yet to actually define what I mean by ‘nature’. The reason for this ambiguity is simple: nature is a lot of things to a lot of people, and the components that influence us do so in different ways, penetrating many aspects of our reality. Definitions of nature exist on a spectrum from ‘anything and everything’, to ‘stuff that is green’. It is an umbrella term that encompasses so many nuances that I find it easier to define it not by what it is, but by what it is not. In the context of this discussion it should by now be clear that when I use the word ‘nature’, I am not referring to the Sydney Opera House, a Ferrari, or Apple products (though in each of these examples, the symbology of nature is evident). I am instead referring to natural (as opposed to built) environments, living organisms, and the earthly processes and rhythms of things like weather and the tides. There is so much of this nature around us and it will cost us nothing but a few moments of our time to stop and connect with these intrinsic aspects of the natural world – our world. These moments – perhaps otherwise spent scrolling through newsfeeds, watching ‘reality’ television, or seeking distraction and stimulation in some other way – may well be worth it. The science supports this notion: we know that finding time for nature in our daily lives has many benefits. So, plan a day trip somewhere off the beaten track, wander the hidden trails of your local creek, get some dirt beneath your fingernails in the garden, and learn the songs of your neighbourhood birds. In other words: remember the wild. As you might have guessed by now, we think nature is pretty important. That’s why our mission is to ‘connect people with the natural world’. This is because we recognise that in order to protect and preserve our environment and biodiversity, our society needs to appreciate these things first. Only when people care will they feel motivated to act in pro-environmental ways, and to care people must first connect. Secondly, we appreciate the important role nature can play in promoting human health and wellbeing, and we seek to help the broader community explore some of these potential benefits. When we talk about connection we are talking about something more than mere understanding. It’s not so much what people think that matters, but how they feel. As scientists-by-training this revelation was somewhat counterintuitive to us, but sure enough the research says just that: emotional connections matter more than cognitive comprehension when it comes to caring for, or seeking experiences in, nature. This logic helps to explain why conventional methods of educating people regarding science and the environment have achieved little in promoting ‘environmentally friendly’ attitudes and behaviour. When I asked a classroom of 14-year-olds if they cared about the fate of the Yarra River – a waterway few of them had much to do with – only a few kids raised their hands. When I asked them if they cared about the fate of their own backyard – a place associated with fond memories and personal growth – all hands shot up. This is the power of connection. So how do we foster these oh-so-important connections? Well, for a start our charity recognises that people are unique. 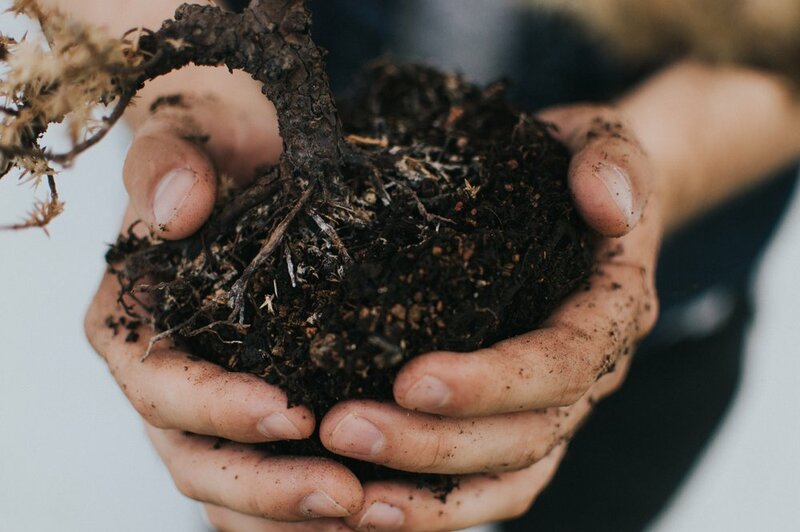 There is no one-size-fits-all approach to caring for nature and there is certainly no one-size-fits-all approach to connecting with it: individuals matter. This is why Remember The Wild embraces diversity and flexibility in our approach. We employ a wide variety of methods to engage people within our community with the natural world, using everything from digital media to on-ground projects. Above all else, we like to tell stories that resonate with people, and we invite others to share their stories with us. It is our hope that through giving people the tools and motivation they need to connect with nature, we might contribute to a positive shift in the way our society values the natural world – both for its intrinsic beauty and complexity, and its role in our wellbeing. In other words, we hope to inform so that you might explore. If you'd like to know more about Remember The Wild prior to the October launch, please visit our website.